One of the biggest desires I hear from 40 + women business owners, is more leads! They’re doing the same thing over and over again and getting the same results. They are looking for new ideas and ways to reach their ideal clients. They want new lead generation strategies. Does this sound like you? If yes, listen to this week’s Ready for More! 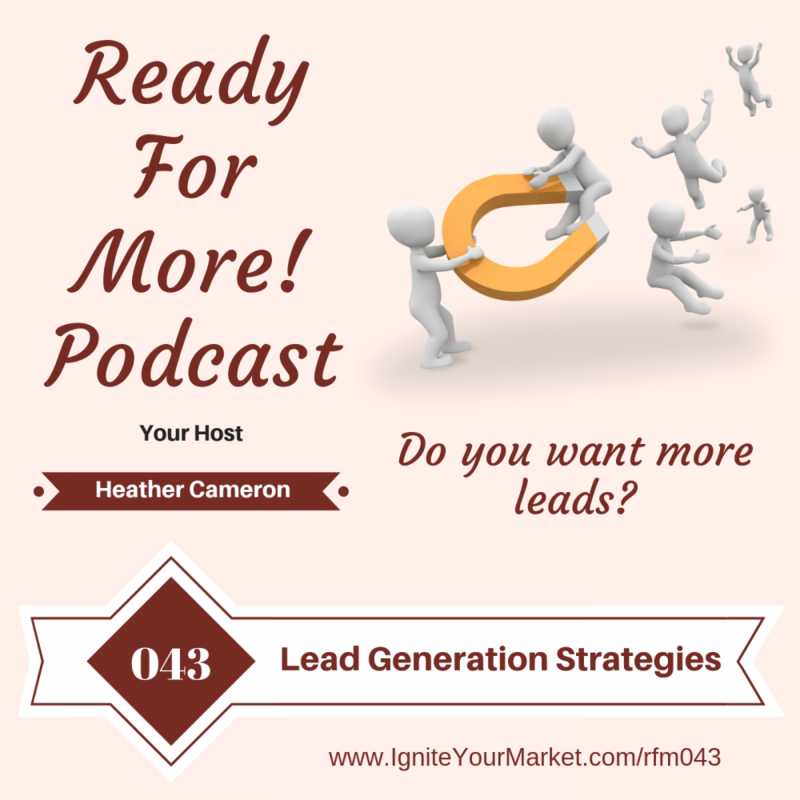 Podcast weekly tip where I share 10 lead generation strategies for women business owners. You can get your free copy of worksheet 10 Lead Generation Strategies for 40+ Women Business Owners simply by joining the Ready For More! Women Business Owners Circle. We are a group of 40+ women entrepreneurs helping each other reach for our More! The 10 Lead Generation Strategies for 40+ Women Business Owners worksheets presents your with 10+ different way to generate leads. Then it is up to your to choose the 1 or 2 that you will focus on for the next 4 weeks. Ready For More! Women Business Owners Circle Facebook group is here to to support and cheer you on, please come and join us.